A few years ago, I developed a small (literary) obsession with geraniums. 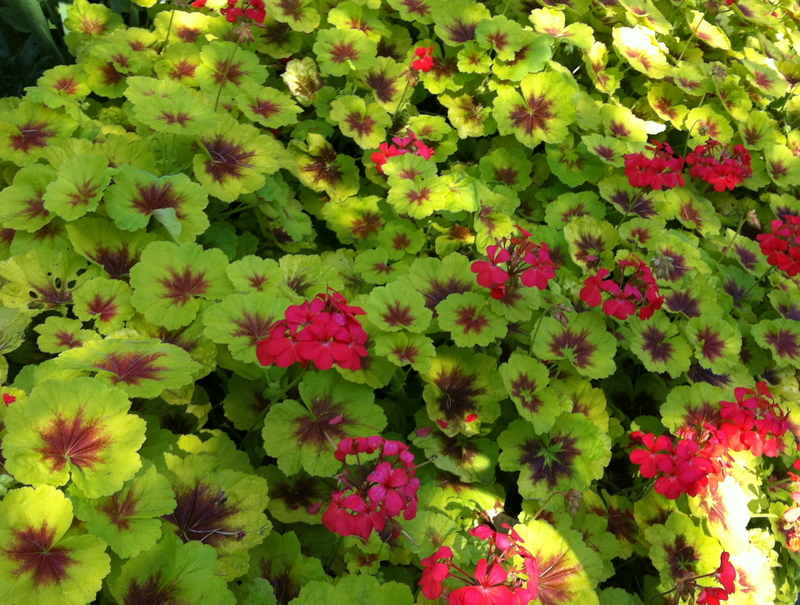 These flowers, which are actually pelargoniums, are everywhere in Canadian literature. From the nineteenth century to the present, this domesticated exotic has proven itself extremely versatile in the imaginations of our writers. During my initial research, I located a number of references to the geranium’s culinary uses, but at the time, I had to set these aside. 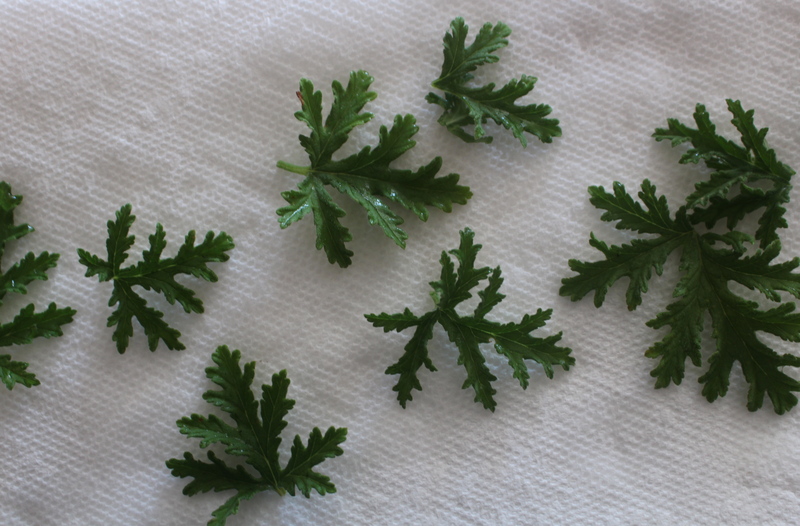 Now, in the spirit of summertime fare, I can’t resist exploring my geranium inventory a little further. Enthusiasts of author L.M. Montgomery will recall that Marilla Cuthbert has an apple-scented geranium growing in her kitchen window. During her first morning at Green Gables, Anne names this plant “Bonny.” It’s a sentimental gesture, a sign of this orphan’s desire for a loving home (Boyd 83-84). 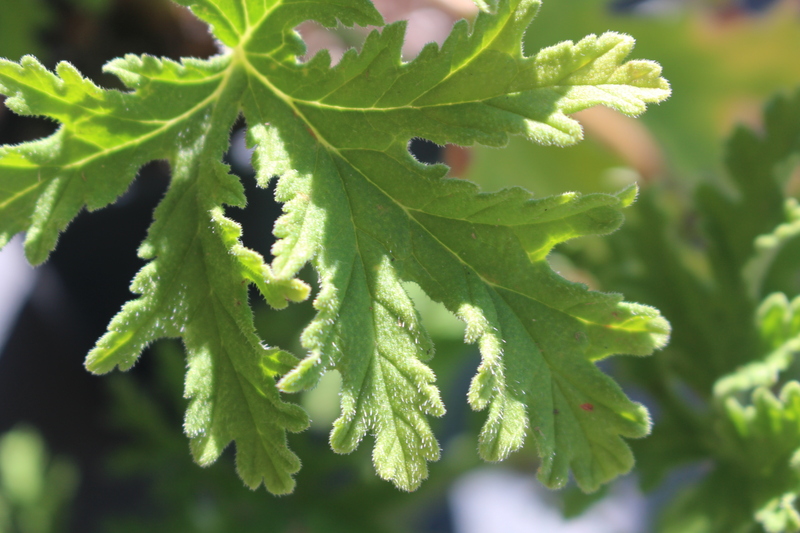 In their documentation of this scene, the editors of The Annotated Anne of Green Gables state that as a kitchen herb, the geranium’s leaves “were used sometimes in flavourings” (81). Although we never see Marilla cooking with geraniums, a quick internet search produces numerous recipes: geranium flavoured cakes, sauces, and teas. 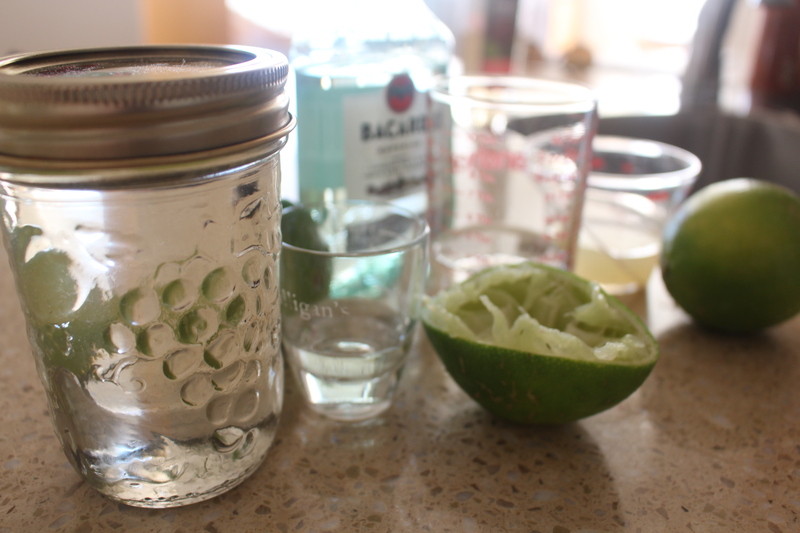 This geranium syrup adds a very subtle flavour to a daiquiri cocktail. When it comes to fictional characters’ summertime treats, the surroundings are as important as the edible ingredients. That’s why it’s so delightful to discover Jim Eliot and his assistants in Stephen Leacock’s Sunshine Sketches of a Little Town wearing red geranium boutonnières on the lapels of their white coats as they serve “sarsaparilla and chocolate sundaes and lemon sours and foaming drinks” to the people of Mariposa (137). Eliot’s Drug Store boasts a white marble soda fountain, and on a warm August evenings, the young and the old gather to laugh and overdose on sweetness. While the temperance movement (somewhat) deters Mariposans from consuming alcohol, the narrator notes that people always find alternative substances. Indeed, the star-crossed lover Peter Pupkin avoids near-suicide (his first of many near-attempts) by drowning his sorrows in Eliot’s fizzy drinks until he is utterly “buoyant” (Leacock 139). After downing five servings of bubbly courage in the span of ten minutes, Pupkin boldly purchases three bricks of Eliot’s ice cream and heads off to woo the judge’s daughter, Zena Pepperleigh. Through England’s cultural influence, the geranium in Canadian literature frequently signifies a character’s or community’s aspirations to gentility (Boyd 85). It comes as no surprise, then, that in the upstart town of Mariposa, red geraniums are growing on the windowsill of Jefferson Thorpe’s barbershop and are proudly worn on the lapels of the drug store’s assistants. The opera house in Paris “may be a fine sight,” but it cannot compare “with the inside of Eliot’s drug store . . . for real gaiety and joy of living” (Leacock 137). An ice cream sundae (or daiquiri) served alongside a geranium seems the perfect August treat. Boyd, Shelley. “The Geranium in the Window: One Plant’s Literary Hardiness in the Canadian Imagination.” Material Cultures in Canada. Ed. Thomas Allen and Jennifer Blair. Waterloo: Wilfrid Laurier University Press, 2015. 83-106. Print. Leacock, Stephen. Sunshine Sketches of a Little Town. 1912. Toronto: McClelland and Stewart, 1992. Print. Montgomery, L.M. The Annotated Anne of Green Gables. Ed. Wendy E. Barry, Margaret Anne Doody, and Mary E. Doody Jones. New York and Oxford: Oxford University Press, 1997. Print. This entry was posted in The CanLitFare Blog and tagged alcohol, Anne of Green Gables, Canadian Literary Fare, Canadian Literature, Canlit fare, cooking with flowers, drug store, edible flowers, food, gardens, geranium, geranium recipes, ice cream, L.M. Montgomery, Lucy Maud Montgomery, Mariposa, Material Cultures in Canada, pelargonium, simple syrup, soda, soda fountain, Stephen Leacock, sundae, temperance movement. Bookmark the permalink.